Seattle Parks and Recreation and the Highland Park Parent Teacher Association invite the community to review play area equipment options for the Highland Park Playground project on Monday, April 18, 2016. The Open House is scheduled from 5:30 to 6:00 p.m. with a formal presentation at 6. The event will take place at Highland Park Elementary School, 1012 SW Trenton St. The project improves access into the park and provides play structures for people of all abilities. The design choices are based on input received during the community initiated Opportunity Fund project. The goal is to create and deliver a cohesive space that improves the usability and safety for the play area. 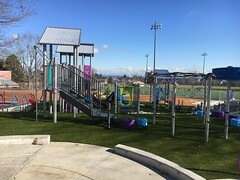 For more information about the project including notes from the first meeting please visit:http://www.seattle.gov/parks/projects/highland_park/. For special meeting accommodations or for questions concerning the project please contact Karimah Edwards, Project Planner at 206-233-0063 or Karimah.edwards@seattle.gov. 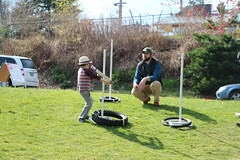 Seattle Parks and Recreation invites the community to the third and final meeting for the Highland Park play area renovation project on Tuesday, March 3, 2015 from 6:30 to 7:45 p.m. at Highland Park Elementary School, 1012 SW Trenton St.
At this meeting, the community will review the proposed design and provide final input for the project. The community-initiated project will improve the usability and safety for Highland Park play area. The goal of this project is to create a cohesive park space, improve access, and provide new play features. A Seattle Parks planner will be there to answer questions and gather input. http://www.seattle.gov/parks/projects/highland_park/. For special meeting accommodations or for questions about the project, please contact Jeron Gates at 206-684-0998 or jeron.gates@seattle.gov. 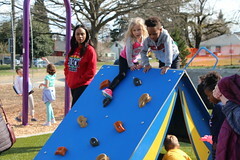 Seattle Parks and Recreation invites the community to the second public meeting for the Highland Park play area renovation project on Tuesday, January 13, 2015 from 6:30 to 7:45 p.m. at Highland Park Elementary School, 1012 SW Trenton St.
At this meeting, the community will review the schematic design for the project and be asked to provide feedback. The community-initiated project that will improve the usability and safety for the Highland Park play area. The goal of the project is to create a cohesive park space, improve access, and provide new play features. Seattle Parks planners will be available to answer questions. 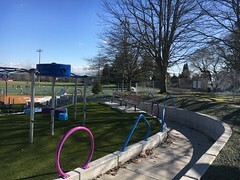 For more information about the project including notes from the first meeting, please visit http://www.seattle.gov/parks/projects/highland_park/. For special meeting accommodations or for questions about the project please contact Jeron Gates at 206-684-0998 or jeron.gates@seattle.gov. Seattle Parks and Recreation invites the community to a public meeting for the Highland Park Opportunity Fund project on Wednesday, October 29, 2014 from 6:30 to 7:45 p.m. at Highland Park Elementary School, 1012 SW Trenton St.
At this meeting, participants can learn about this community-initiated project that will improve the usability and safety of Highland Park. The goal of the project is to create a cohesive park space, improve access, and provide new play features. This meeting is an opportunity to provide input on what the community would like for this park renovation project. Families, neighbors and all interested in the project are encouraged to attend. The Parks and Green Spaces Levy-funded project is located at Highland Park, 1100 SW Coverdale St. in West Seattle. 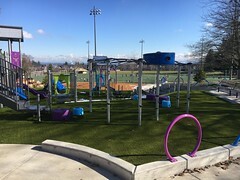 For more information about the project, please visit: http://www.seattle.gov/parks/projects/highland_park/. For special meeting accommodations or for questions concerning the project please contact Jeron Gates 206-684-0998 or jeron.gates@seattle.gov. The new spraypark at Highland Park will open at 11 a.m. on Friday, June 28. The community is invited to come enjoy this new, family friendly amenity. The new spray feature at Highland Park features a variety water play options. The spraypark features several different types of water play, including overhead buckets that fill and dump, playful jets that gently “jump” around the splash pad, and gurgling gushers. The water feature was designed and built to appeal to a range of ages from very young children and up. For year round interest, the surface has a solar system theme with to-scale bronze planets inlaid in colorful concrete. The final design was chosen based on input from the community at several public meetings. Safety, water/energy conservation, and selection of spray features that the community finds engaging were key considerations in the design. The Parks and Green Spaces Levy initially set aside $200,000 for design and construction of this project. 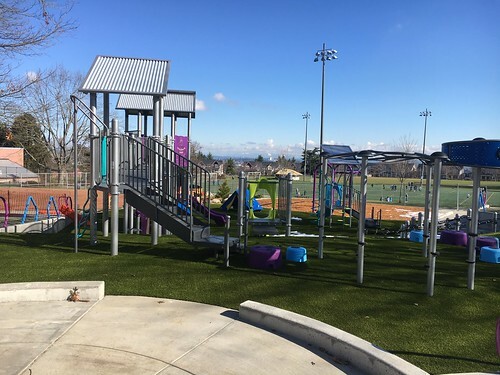 Additional funding was allocated for a total of $635,000, which provides better water conservation through full water re-circulating systems, and a more appealing play experience. The project also includes artwork from artist Leo Berk. Mr. Berk will install carved sculptures that resemble historic windows and doors to replace the flat grey plywood doors and windows on the adjacent comfort station. That work is expected to be complete later next month. Artist Leo Berk will create carved wood features for the adjacent comfort station. In August, Seattle Parks will host a community celebration to mark the completion of the project. 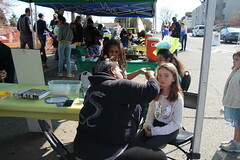 For more information, please contact Kelly Goold, Project Manager 206-684-0586, kelly.goold@seattle.gov. Seattle Parks and Recreation is hosting a community meeting on Wednesday, May 25, 2011 from 7:15 – 8:30 p.m. at the Highland Park Improvement Club, 1116 SW Holden St, Seattle. The public is encouraged to come learn about the project, to meet the design team, and to provide input on spraypark features. The design team will present an overview of spraypark features and wants to hear from the community about which ones would be best to integrate into the site. Identified in the Parks and Green Spaces Levy, this project is allocated $635,000 for design and construction. Additional funding allocated to the project will allow for full water re-circulating systems which will provide better play experience and water conservation. Key considerations in designing the project are safety, water/energy conservation, and selection of spray features that the community finds engaging. Seattle voters passed the Parks and Green Spaces Levy by a 59% vote in November 2008. The $146 million Levy provides acquisition funding for new neighborhood parks and green spaces and development funding for three wading pool conversion projects throughout the city.